When an error occurs the above dialog box will be presented to the user. 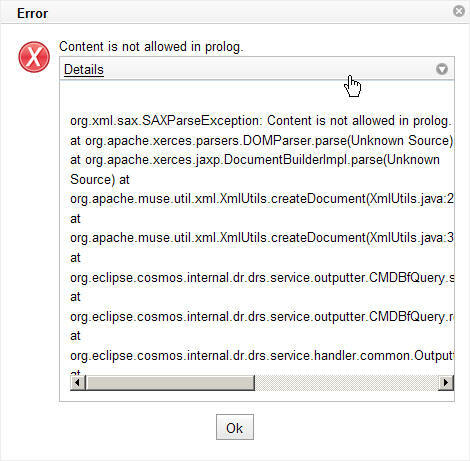 The error dialog displays a message and a details message to the user. The user can expand or collapse the details message by clicking the 'details' bar as shown below. This page was last modified 09:54, 7 March 2008 by Sheldon Lee-Loy.